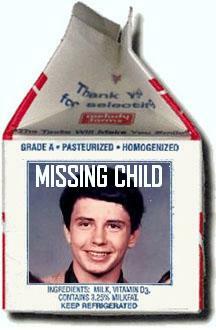 Unlike the US, photos of missing children do not appear on milk cartons in Occupied Palestine…. their parents know where they are…. kidnapped by Israeli soldiers, or worse. The damage being done to Palestinian children by Israeli military law is so far beyond any form of rational justification; it is nothing less than psychopathic. Apart from experiencing the psychological and physical traumas of war, which is damaging enough; thanks to the unbelievably cruel and heartless behaviour of grown adults, these innocent children are now at risk of learning what they live. The same ‘grown adults’ are wholly to blame for this. The children of Palestine are not only witnessing the horrific ugliness of war; they are having their childhood completely taken away from them. There is no way these poor children can be naturally open to the world, or to experience the normal, happy childhood we most of us take for granted. Due to the combined fear of further military assaults being inflicted and of being abducted and/or imprisoned, these children live in a stifled twilight world. The Imprisoned children of Palestine will, without doubt, experience mental and physical health difficulties that will probably stay with them for the rest of their lives; affecting future relationships and even relationships with their parents and siblings. Suffering among children is morally wrong; taking away a childhood is wrong and Israel knows this. How do those involved live with themselves? Something just occurred to me. Just about eveyone has heard, or read about the poignant, stifled and fractured childhood of Anne Frank and felt both horror and pity that her childhood was so cruelly destroyed. Are the circumstances for each and every Palestinian child really that much different? Retaliate in kind. Let them see how it feels.